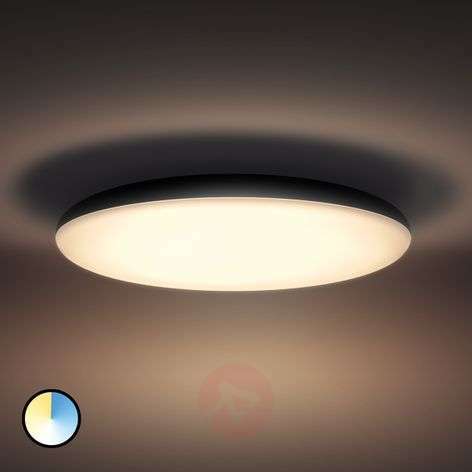 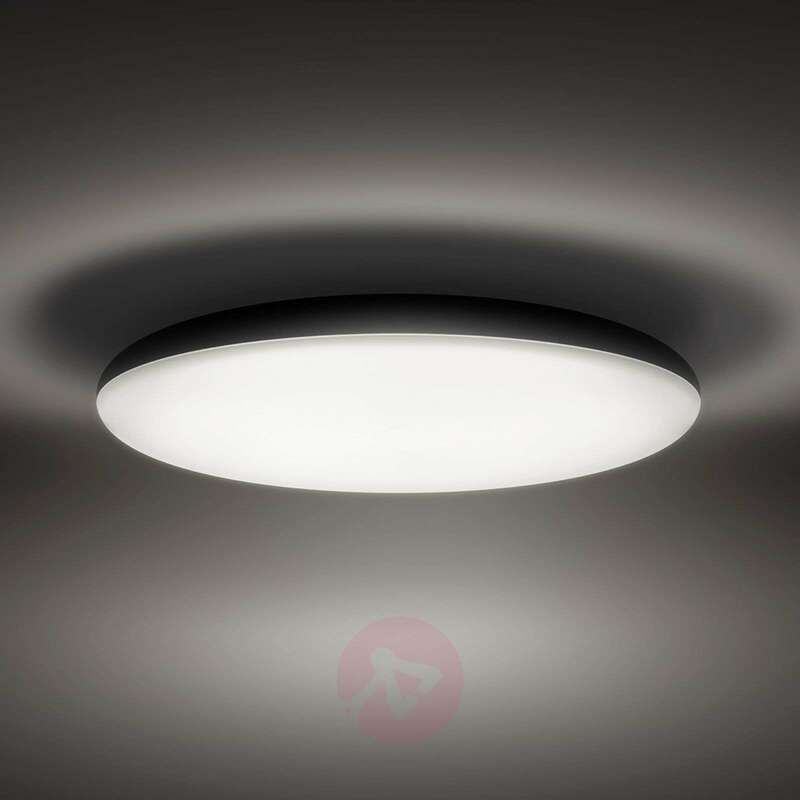 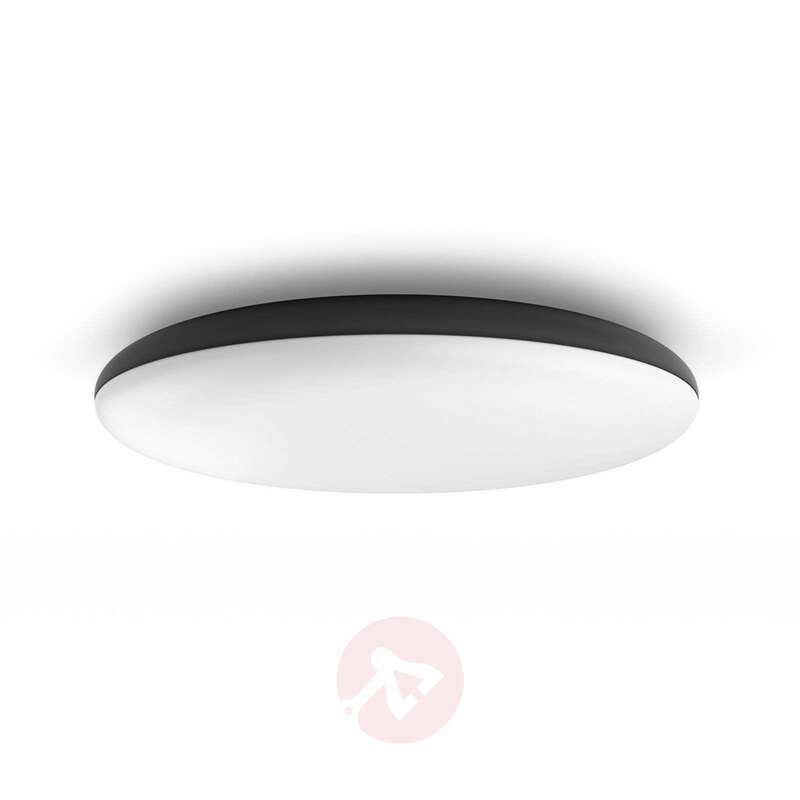 As an individual room lighting fixture, the Philips Hue LED ceiling light Cher leaves nothing to be desired; with the included dimming switch and built-in LED lighting technology, it is possible to adjust the brightness, the colour temperature, and even entire lighting scenarios via the dimmer switch. 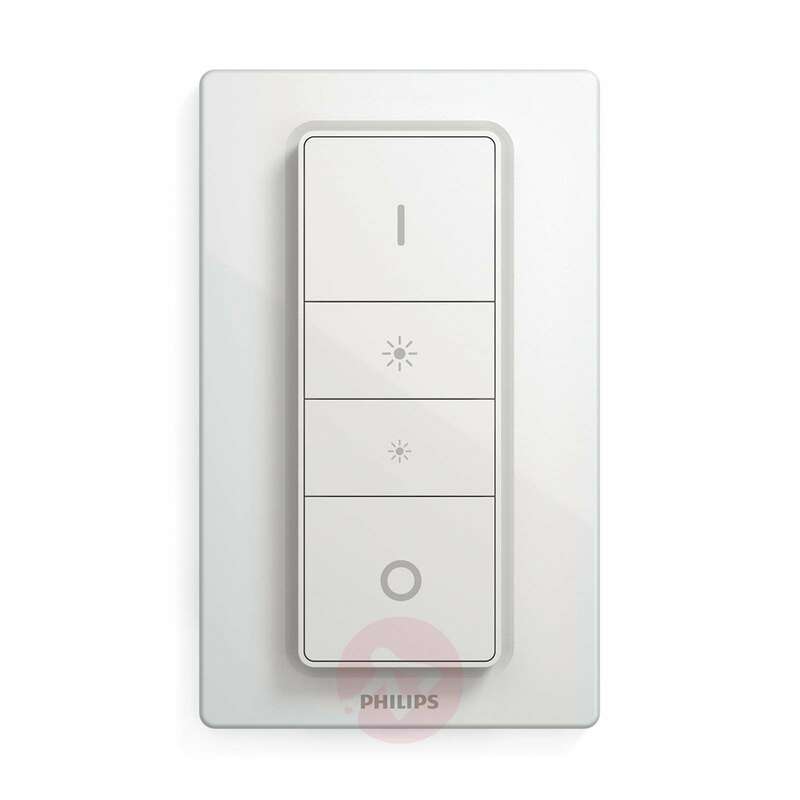 In addition to these numerous light settings, you can also adjust other settings via the Philips Hue App. 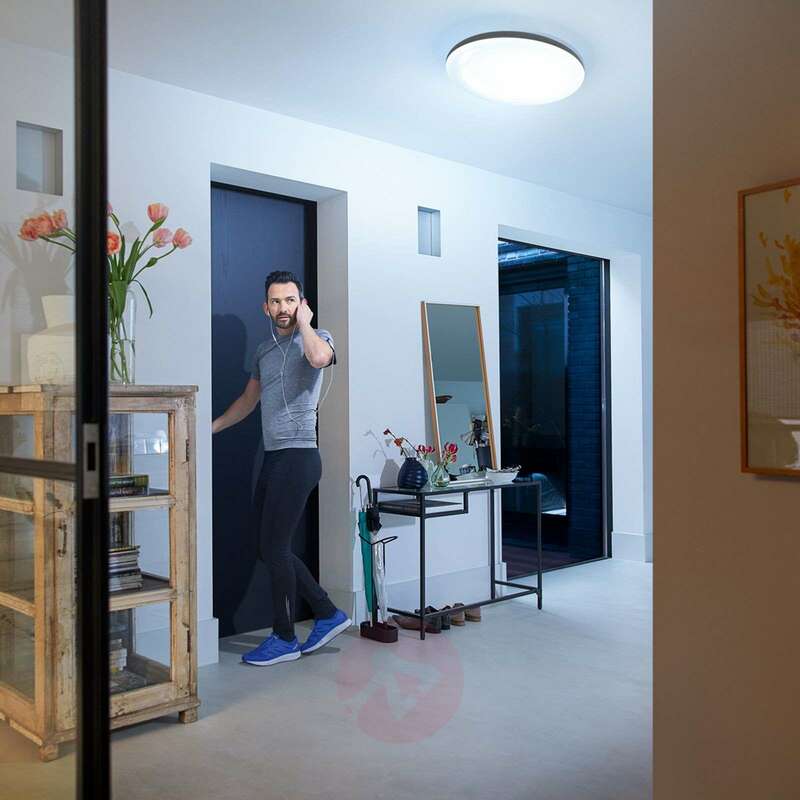 In order to use this feature the light must be integrated into an existing smart home system using the Hue Bridge (see accessories). 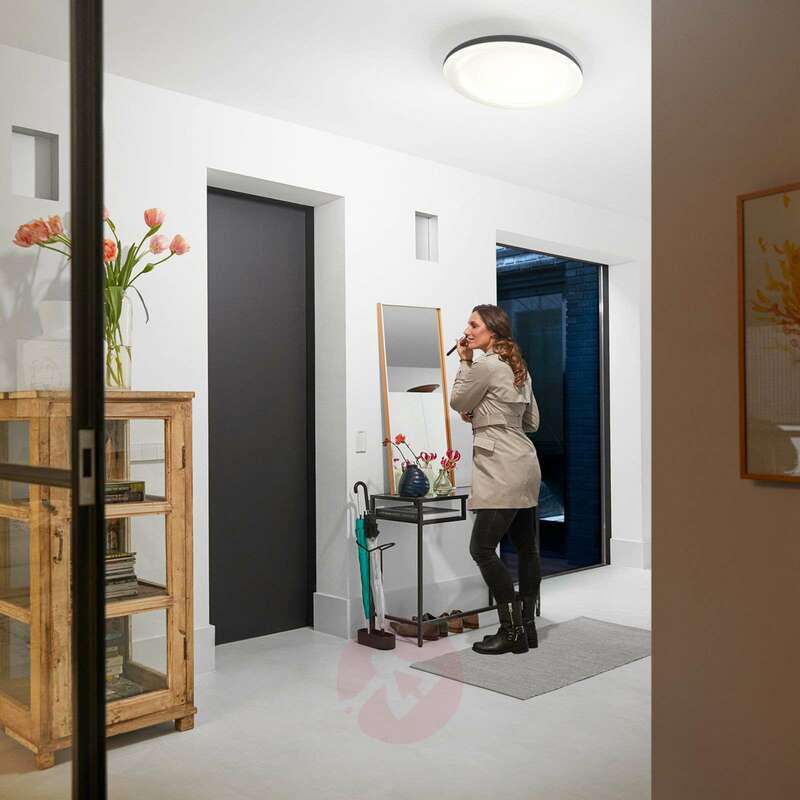 Thus, there are no limits to individualized, needs-oriented room lighting. 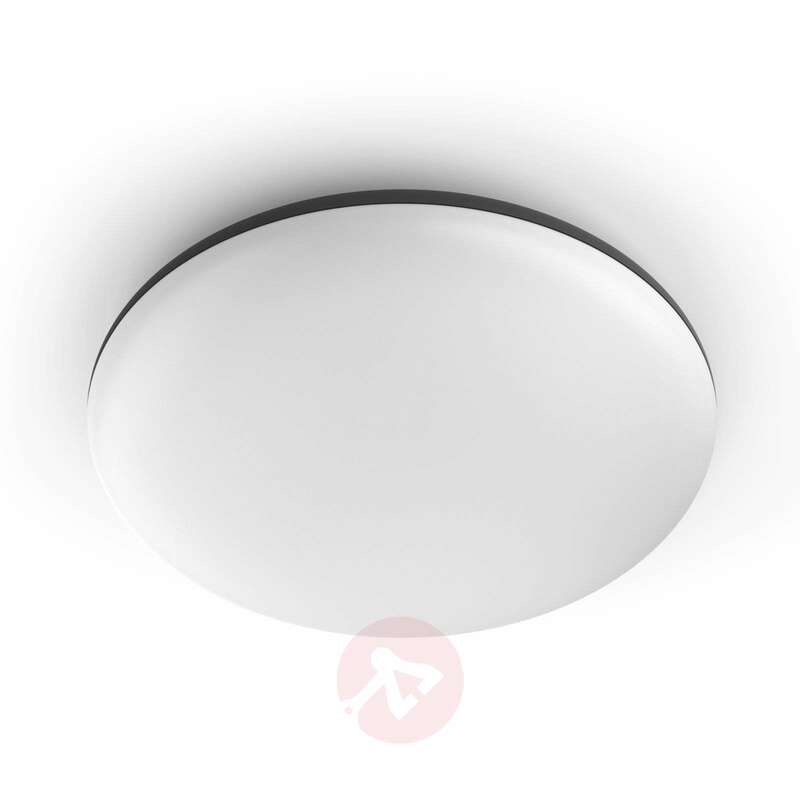 The design of the light is modern and timeless, enabling it to be easily integrated into any room concept. The satin-finished plastic lampshade also ensures glare-free and homogeneous illumination.